In 2001, filmmaker Jackie Olive attended a photography exhibition that altered her perspective and put her on the road toward directing a documentary, “Always in Season,” that would go on to garner a Special Jury Award at the 2019 Sundance Film Festival. The exhibition that Jackie, a photographer herself, attended was called “Without Sanctuary: Lynching Photography in America”. The exhibit featured material, unearthed by collector James Allen, focusing on an extraordinary—and jarring—visual legacy: photographs and postcards taken as souvenirs at lynchings throughout America. The cognitive dissonance engendered by the thought of racially motivated lynchings serving as a photo opportunity for spectators and participants, was only surpassed by the idea that many of these same individuals would then share—with the cooperation of the US postal service—images of these horrid spectacles via postcards. As a native of Mississippi (the epicenter of lynchings in the US from 1872 to 1964), Jackie was not fully aware of how widespread, and often, legally sanctioned, lynching as a means of instilling racial terrorism, had been for nearly 100 years. After attending the “With Sanctuary” exhibit, she knew she could not turn away from its import. 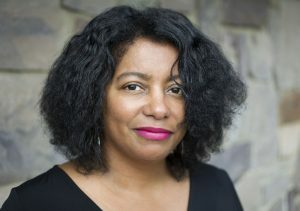 After a period of research into the pernicious history of lynching and the communities and families that were shattered by it, Jackie was able to move into production of a documentary thanks to grants from Chicken & Egg Pictures and the Catapult Film Fund. Both organizations, according to Jackie, are run by visionary women, and Chicken & Egg’s sole focus is on mentoring and financially contributing to projects helmed by women. Jackie spent her first week of production filming herself as a “test shoot” before feeling like she was ready to hire a crew in 2010. Her vision and the film’s thesis reached a watershed moment in 2014, when Jackie learned of the story of 17 year-old Lennon Lacy, an African American teen who was found hanging from a swing set in Bladenboro, North Carolina, on August 29, 2014. Despite inconsistencies in the case, local officials quickly ruled Lennon’s death a suicide, but his mother, Claudia, believes Lennon was lynched. As “Always in Season” unfolds, Lennon’s case, and the suspicions surrounding it, intersect with stories of other communities seeking justice and reconciliation. A few hundred miles away from the site of Lennon’s hanging, a diverse group of reenactors, including the adult daughter of a former Ku Klux Klan leader, gather annually in Monroe, Georgia to dramatize a 1946 quadruple lynching to ensure the victims are never forgotten and encourage the community to come forward with information that might bring the perpetrators to justice. “Always in Season” poses a critical question: As the terrorism of the past bleeds into the present, what will it take for Americans to begin building a national movement for racial justice and reconciliation? Jackie points out that while there were approximately 5000 documented lynchings, experts believe that the actual number may be closer to 15,000, less than 1 percent of which ever went to trial. “The families of victims simply could not get witnesses to testify and many times law enforcement either participated in the lynchings or cheered them on,” she shared. As for fundraising, that endeavor forced Jackie to work outside her natural comfort zone. But it was an undertaking she did not shy away from. “It’s supposed to be challenging. I took this project on specifically because I knew it would be challenging. Making appeals for funds forced me to really understand the story I was trying to tell and the impact I wanted it to have,” she recounted. Independent Television Service turned out to be a crucial funding partner with the project. “I’m extremely proud to have their support because the films broadcast on their PBS series “Independent Lens” were some of the first documentaries that inspired me,” Jackie reported. “Always in Season” will broadcast on PBS via “Independent Lens” in early 2020.